If you think Brian Boroime. Imperatur Scotorum, died in 1014, killed (as old Dubs might tell you) in his tent on the site of John Hedigan’s Pub, you were wrong. 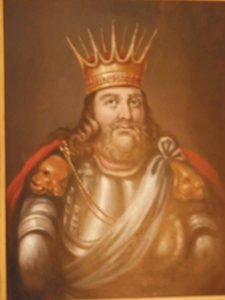 The life of Brian Boru was , like much of Irish history, allegorical. His spirit is rampaging across 33 tourist attractions in Clare, Limerick and Tipperary. As you set off with the new Brian Boru brochure, beautifully produced by Shannon Development to offer a tour guide to famous sites associated with our only emperor, you quickly become a participant in our history. At first site, trying to imagine what Brian Boru’s time was like is a hopeless task. Many of the sites are desolate, one is well-nigh impossible to find, but when you reach them and chew on the loneliness of the earthen banks, it is you who are bringing the life to this spot. There are spirits here, the spirit of a west awoken, with all the purpose of a Dalcassian battle cry or hurling team yell, a spirit which turned the fallen hero of 1014 into a flagship tourism product. The best place to start, as is the case with much 11th century history, is the end. The Brian Boru centre will be opened on May 16th, after a wonderful launch party recently when Killaloe’s newest immigrant Brendan Grace played the part of the Dane-slayer. Here, under the stewardship of Carmel Ryan, you have one of the best audio-visuals you will find at an Irish centre. Regional history expert Tom Sheedy and a team from jack Harrison & Associates put this together, and the centre is small, compact and meaningful. From the deck you can see the canal which served Killaloe in pre Ardnacrusha days, when boats used to pass down to Limerick. It was on water that empires were built in those days, so we called on the famous Shannon navy, as Brian did in his day. As James Whelan steers his boat, the Spirit of Killaloe through Lough Derg, he speaks with pride about his native place. This is waterworld. The odd archways on the bridge stands testimony to the day that eight of the 13 were swept away in a flood in 1827. “Killaloe would be another Killarney in different circumstances,” he says, “it has everything, the lake, the scenery and the personality. And an awful lot of history.” James started in the boat rental business with a single boat in 1991, since 1999 he has been running passenger crusies round the lake, and moved to the big Spirit of Killaloe in 2000. 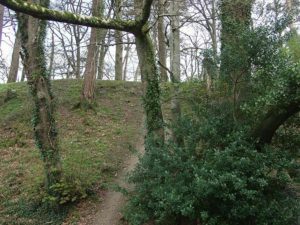 The narrow bend where Brian’s family had their fort, and where the mound of Beal Boru still exists today is no longer narrow, the water level having been raised eight metres by the Ardnacrusha project. All you have now is a mound, some trees and just the faintest hint of how important the site once was. Faint is the word, because a hundred years after Brian Ui Concobars destroyed it. Brian had disturbed the traditional hegemony of the north over Munster. The place where Kincora was built is a short climb through the town, past St Flannans with its Thogrim Stone combining runic and ogham inscriptions, sign of cultural diversity all those years ago, up the hill to where they built the Catholic church. There you have the site of Kincora. Nothing left. We can see a pattern here. Brian’s monuments weren’t built for sticking around. The St Lua Oratory, moved from Friar’s Island, on the River Shannon when the Shannon Hydroelectric Scheme submerged the island in 1929. The conservation skills of the time were not great, so a notice says that this is a “reasonably accurate” representation of the original.” The building had survived since Brian’s time. But Brian doesn’t need stones. That much is clear as the road to Ennis opens up, past Tulla of the Ceili band, and into the Shannon region’s last major development. 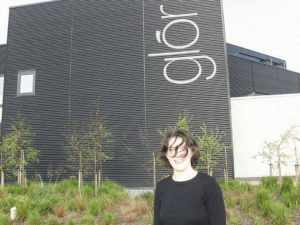 The Glor centre in Ennis is on the County Council buildings campus and you’ll find it easily by following the stream of locals who pass in and out of the place. They are there for music, for ballet, and for any other activity that they can dream up. At night the centre hosts plays and concerts, by an appreciative army of singer-songwriters who no longer have to compete for the attention of patrons with smoke and strong porter. During the summer there are tailormade shows for visitors to the county, evoking the history of house dancing, the best of Clare, emigration, and and magic in the folklore. There is no museum of traditional music in Glor, just a chance to encounter the real, living, breathing, tradition. 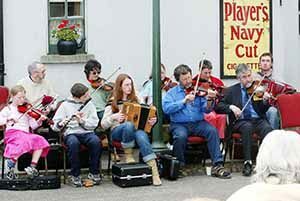 Killaloe was once the capital of Ireland, Ennis is now the musical capital. There is something aptly Brianboruvian about that. And so to grandeur, his spirit has passed there too. At Dromoland Castle they have named the €1800 a night suite in his honour, and hung the fine portrait at the top left of page 16 in the room there. Dromoland is as fine a palace as an emperor would wish to lay his head, but like much of the Shannon product it is not the finery or the hung ancestors (check out Maire Rua in Mathuna, or as she is called, Mary Mahon) which makes it, but the staff. There is no servility, or tip-seeking, common to these establishments abroad. Just a healthy Clare hospitality, time for a chat and a little advice if needed. The same goes for the Bunratty visitor experience. 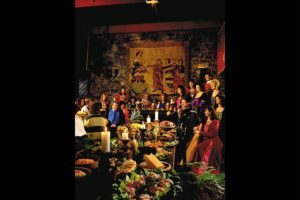 When Lord Gort, Brendan O’Regan and other pioneers researched the medieval banquet concept in the late 1950s, they found on the culinary side it was found that popular banquet dishes of the period comprised such items as roast hedgehog and pigeon pie while being much more highly spiced than modern palates could tolerate. It was decided to modify the dishes accordingly while still observing the style of the period. Also the etiquette of eating with fingers, aided only by a dagger, would be adopted. It works a treat. Ask any of the 130,000 who attend annually. And even if you are Irish, (perhaps especially if you are Irish) the conviviality and good humour of the team of singers and musicians makes for a refreshing and wonderful evening.